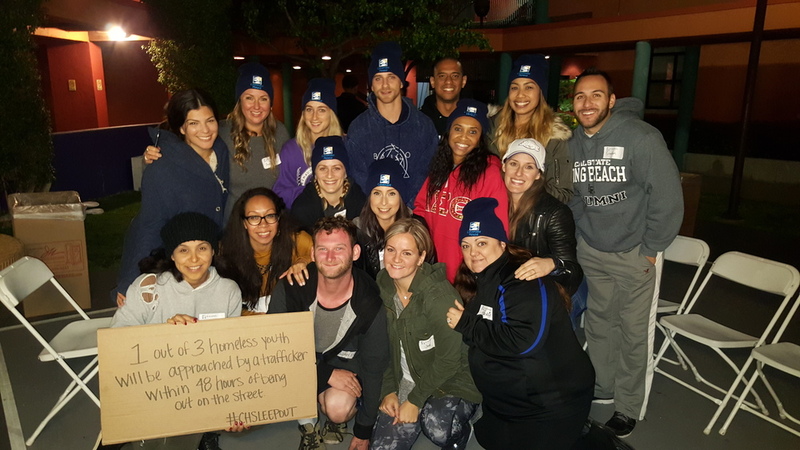 13 of us slept out on the ground in LA on Friday to raise awareness and raise funds for homeless youth. This event also took place in Anchorage, Atlanta, NYC, Newark, Fort Lauderdale, Houston, and Philadelphia. We met a very positive and inspirational young man who told us his sad story of going from home to home in the foster care system and getting high off meth with his mom because that’s the only way he knew how to bond with her. He was homeless for some time and is now living at the shelter. Oh, and he suffers from schizophrenia. This boy has had a rough life, but when we asked him how he remains so positive, he answered, “There are people out there who have it a lot worse than me.” He is so right. We have to count our blessings. I am happy to say that as of today Topson has raised $16,355 for Covenant House! Thank you to everyone who donated! It's not to late to donate if you haven't already!